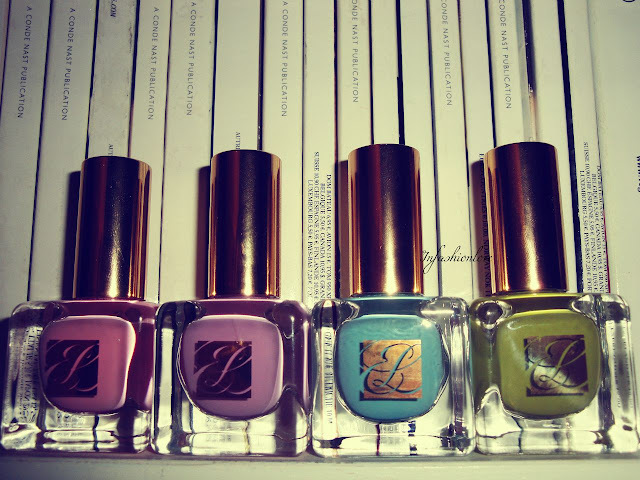 INFASHIONLOVE.COM: Estee Lauder Heavy Petals Nail Lacquer Spring 2013 Collection! Estee Lauder Heavy Petals Nail Lacquer Spring 2013 Collection! 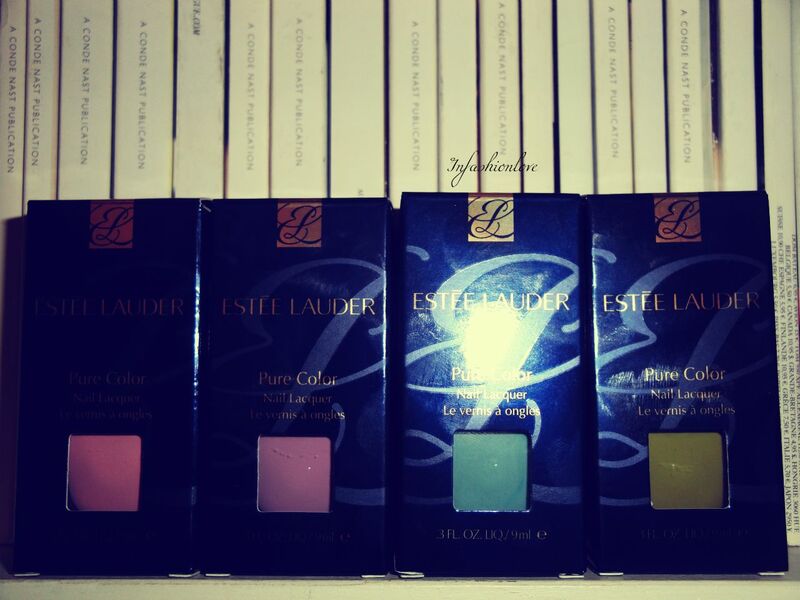 When I first saw this collection at the Estee Lauder event last year I was in love from the first instant... In fact it was hard to peel me away from the Heavy Petals lacquers display... Paris, macaroons, French bouquets, fresh air, blossoming trees - a very pretty and chic collection that encapsulates Paris beautifully... I have four out of the five nailpolish shades from the collection: Narcissist - a pretty pink; Lilac Leather - cool toned lilac; Dilettante - a teal blue; Absinthe - muddy yellow toned green... Texture wise, I found that three coats worked best on me, especially the Narcissist, others could do well with thick two coats perhaps! As a nailpolish lover I'm very excited about this neat collection!